The TriForce Mission Team is comprised of youth from St. Louis, St. Anthony, and St. Nicholas Parishes. This team, formerly known as St. Louis Senior High Mission Team, was started in 1998 to provide the youth of St. Louis Parish with an opportunity to help people experience God’s love by stepping outside their comfort zone and performing home repairs for the less fortunate. In 2013, the team name was changed to the TriForce Mission Team to include all three cohort parishes. Although, youth from any area Catholic Church are welcome! The first mission trip occurred in June 1999. We teamed with COAP (Christian Outreach for Appalachian People) and travelled to Harlan Co, KY where we re-roofed 2 homes. However, organizing the trip was a lot more work than we anticipated so the teens were asked to find an organization that took care of more of the details. After considerable research, they recommended that we team with Group Workcamps Foundation. And this turned out to be an awesome decision. 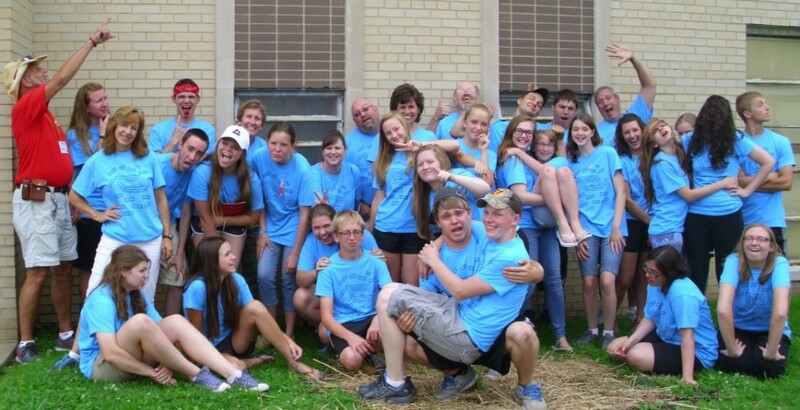 Group Mission trips, (formerly known as Group Workcamps Foundation), has been organizing short-term mission trips for Junior and Senior High students for over 35 years. And they take care of everything, except the fund-raising and transportation. 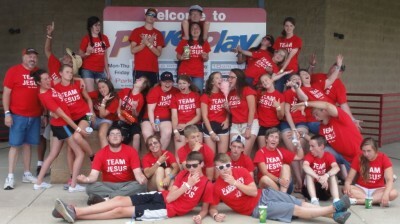 On a Group mission trip, you’ll find “service” balanced with “spiritual growth”. Although the home repairs are an important part of the experience, the main focus is relationship building. Relationship building with God, with those we’re serving, with the members of our work crews, and with our own Youth Group members. The #1 goal is to provide an opportunity for God to work in our hearts. Through carefully planned evening programs, devotions, and service projects, we hear God’s Word, do God’s Word, and experience transformation. The byproduct is meaningful service for people in need. It's unforgettable. And it's fun! Typical home repair projects include interior & exterior painting, dry-walling, roofing, and building decks & wheelchair ramps. In most cases, we’re housed at a local high school. We bring our air mattresses & sleeping bags and sleep on the classroom floors. Meals are served in the school cafeteria and the evening programs are held in the school’s gym. developing and monitoring the Team’s budget, assisting in organizing fundraising events, arranging the vehicles for the trip, planing our route during the trip, coordinating snacks & food as needed, assisting in preparing handouts & information needed for the monthly organizational meetings, ensuring that we have the necessary tools the team will need, deciding on a team shirt for the trip, and much more. The goal is for each committee to be chaired by a teen who has already been on a couple mission trips. The adults going on the trip serve as advisors. 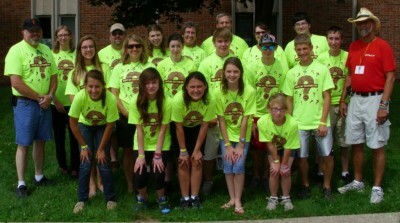 as St. Louis Youth Mission Team.